FACT CHECK: Is This a Photograph of Christine Blasey Ford's Lawyer with Hillary Clinton? Is This a Photograph of Christine Blasey Ford’s Lawyer with Hillary Clinton? More purported evidence that all of Brett Kavanaugh's accusers can somehow be linked to every prominent liberal political figure. A photograph shows Christine Blasey Ford's lawyer, Debra Katz ,walking out of a house with Hillary Clinton. 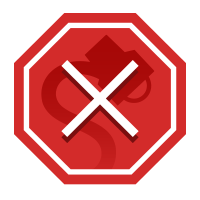 In September 2018, a number of attempts were made to smear the reputations or motivations of various women who came forward with allegations of sexual misconduct against Supreme Court nominee Brett Kavanaugh. 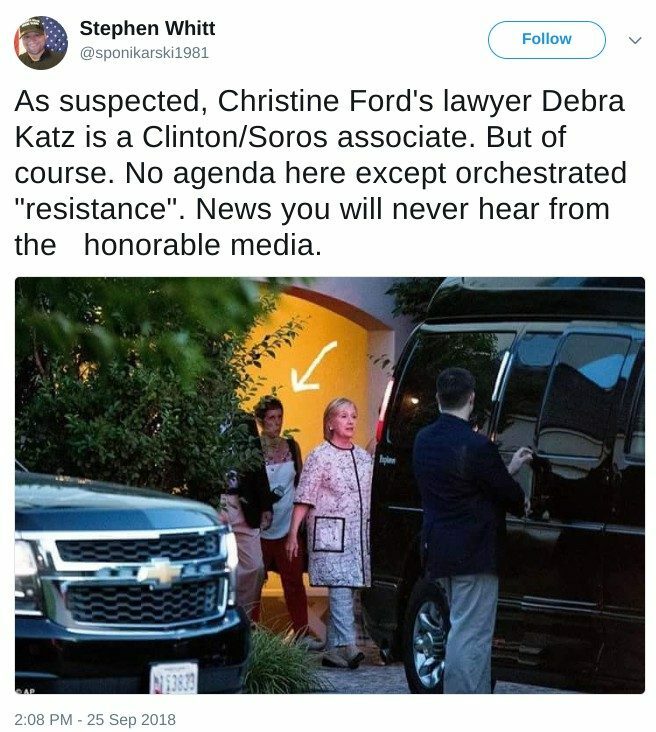 Baseless rumors were circulated claiming that various photographs showed Dr. Christine Blasey Ford getting blackout drunk (false), that Ford had also accused Neil Gorsuch of sexual assault (false), that photographs showed Ford with alt-right boogeyman George Soros (false), and that Deborah Ramirez had won a fellowship from Soros’s Open Society Foundation (surprise, that one’s false too). 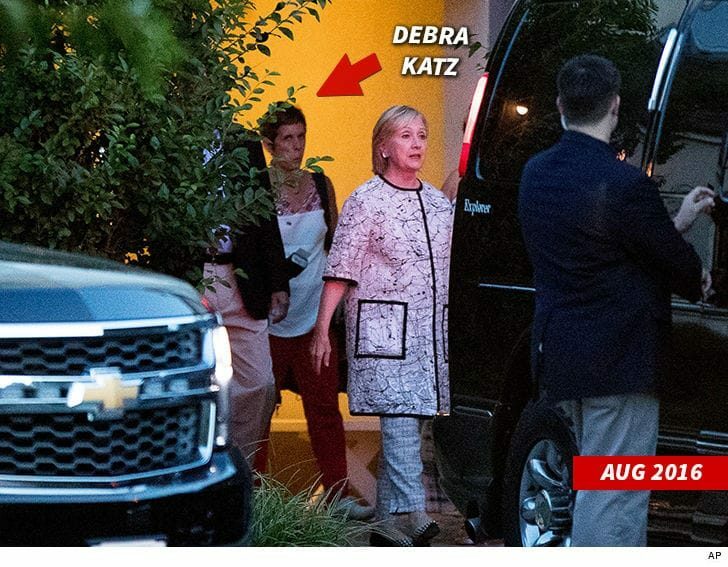 But this photograph was not taken recently, nor does it show Debra Katz with Hillary Clinton. 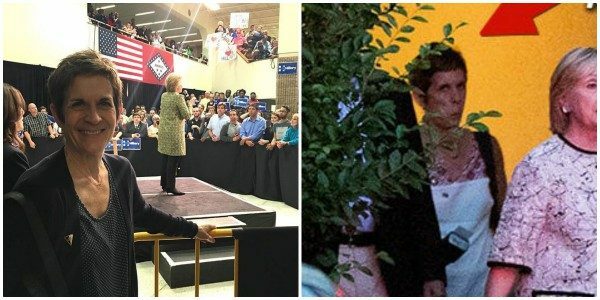 Although the woman behind Hillary Clinton in this photograph may bare a passing resemblance to Debra Katz, the pictured woman is actually Clinton’s official campaign photographer, Barbara Kinney. Barbara Kinney confirmed to us via email that she was indeed the woman seen with Hillary Clinton in the viral photograph. Fox News. 26 September 2018.